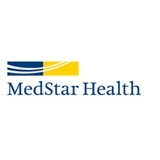 MedStar Ob/Gyn - Montgomery Medical Ctr (Olney) - Book Appointment Online! She is attentive and spent the time explaining, Sending referring for me to seek other professional for my concerns. Office staffs are very nice and there is no waiting time. Really nice & helpful staff. Wait time was minimal in both the waiting room and the patient room. Dr. Smith was personable, friendly & knowledgeable. This is our first pregnancy, and he made us feel at ease.